In my years in the classroom, I have had the pleasure of teaching several children who have either one or two artists as parents. These children, who have a higher than average exposure to art and the media for creating it, possess some qualities that many other children do not have: in addition to their artistic talent, I have observed that they usually read and write better than their peers. My conclusion is that their exposure to art affects other aspects of their learning. This led me to a discussion with Aiko Cuneo, an artist who works with children in public schools, to hash out the benefits of arts education, both in and out of schools. We suggest that parents expand their definition of art. If you are a baker or a cook, if you like to arrange flowers, if you enjoy the harmonious arrangement of objects in your home, you are an artist. These expressions of creativity are as legitimate and valuable as those of painters and the other people we call artists. If you are a scientist and enjoy inventing and experimenting, you bring an artistic sensibility to your work and may include yourself in the definition of artist. Art is a delightful way through which you can record the development of your child’s growth. Just as you will notice that writing and reading improves with age, so does artwork. The role of parents and teachers is to expose children to a variety of materials so that they can create art. Once the variety is offered, children will then have a choice as to whether they want to use the materials or not. But without the exposure, there is no choice. It is typical that those who fund school programs have seen the visual and performing arts as frills — programs that can be added only when there is enough money for them, as well as the first to be cut if there is a budget crisis. 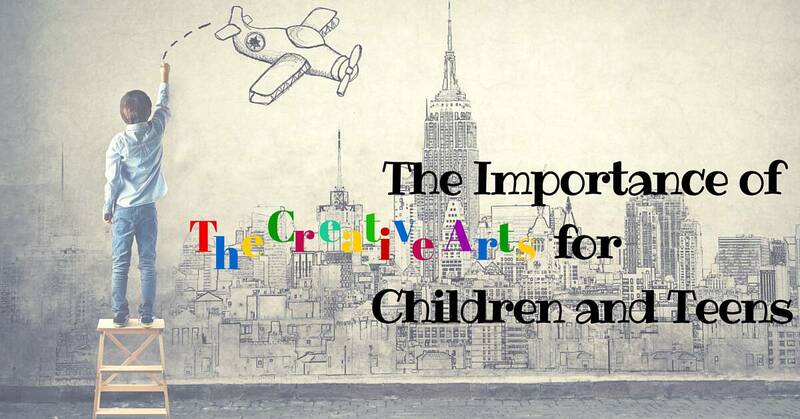 Families can create a harmonious balance in their children’s lives when they make provisions for the arts. Following are ideas to incorporate them into your home life. The most important ingredient in the recipe is your interest. Be there to appreciate and encourage during every step of the creative process. This article has been incorporated and expanded in Teach Your Children Well: A Teacher’s Advice for Parents. This article is reprinted with the author’s permission.